Lettuce 'Oakleaf' (Lactuca sativa var. crispa 'Feuille De Chêne'): growing, planting, caring. Easy to grow, from spring to autumn. The individual leaves of oakleaf lettuce are deeply lobed and shaped like the leaves of oak trees, hence the name. Grown as a leaf lettuce and picked at baby-leaf stage, or for full-size heads. Green and red oak lettuce varieties are offered. 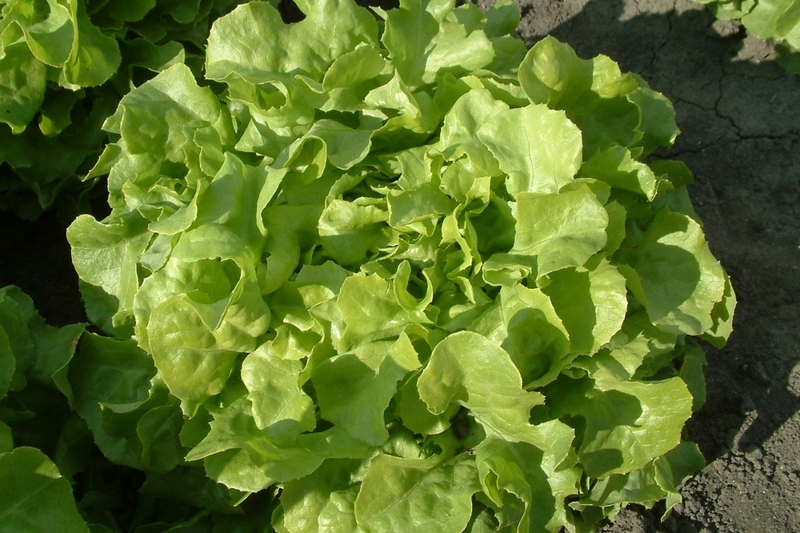 This lettuce variety can be recognized by its deep lobed leaves. It does not produces a crisphead. There are several varieties with flat or curly leaves, green, blond, or red.